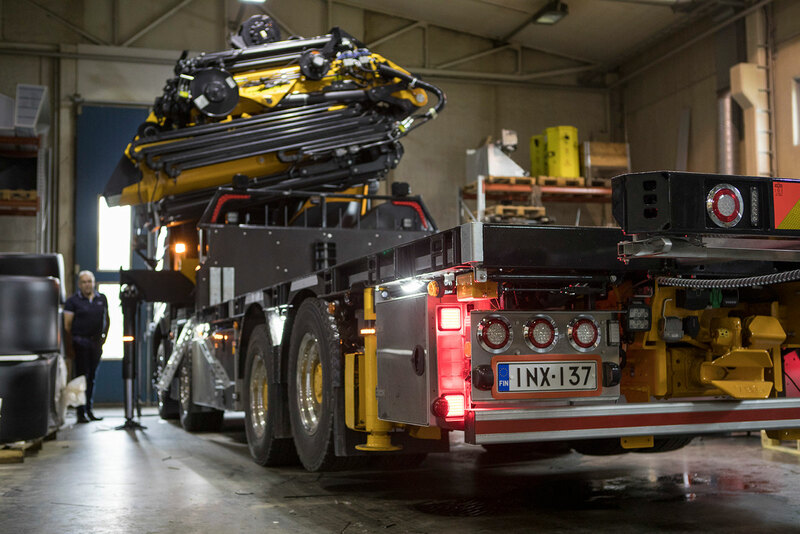 At the Kokkola factory we manufacture vehicular superstructures, drawbar trailers, semi-trailers, centre axle trailers, dollies and crane trucks. 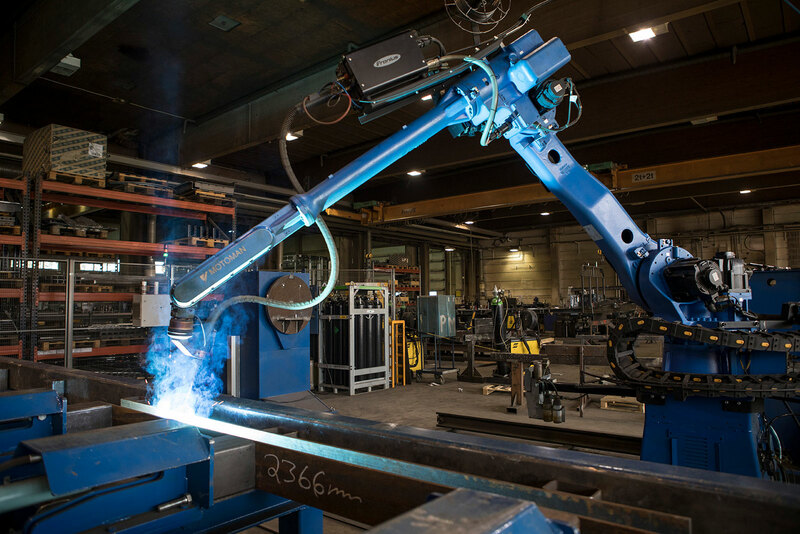 Production based on orders signifies rapid delivery and a competitive price. Quality means durability. Every step in both planning and manufacturing are performed with care concerning every lock, seal, seam and hinge. We deliver you a complete product – Keys in hand. After the delivery you are free to get out on the road and you can be sure that your product will last both rough wear and observation. Tyllis Oy Ab offers painting of high quality and we strive to deliver a complete product to the customer. This is why our painting unit is frequently used and an important part of our philosophy that all products should be delivered “key in hand” to the customer. All products are painted according to our customers’ needs. Tyllis professional painting team performs chassi-, box- and cabin paintings. We also do custom precision painting. 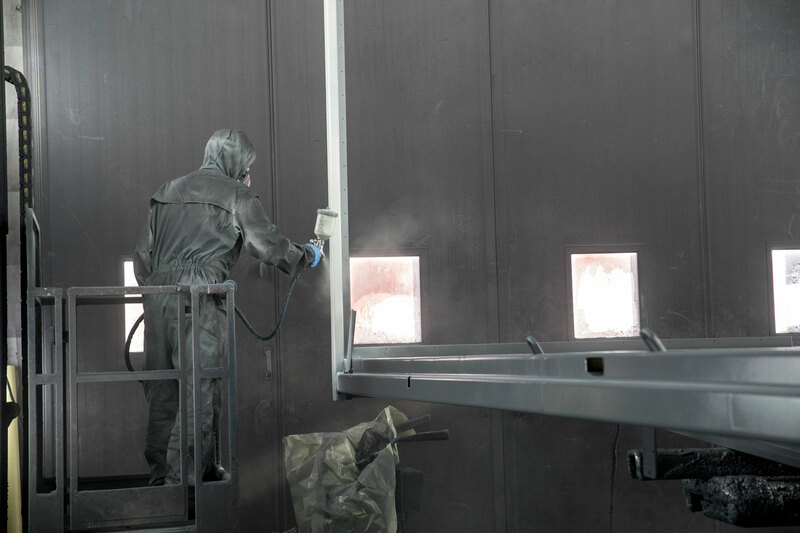 Prior to the actual painting work, we do a careful steel shoot blasting. All our paint boxes are modern and we have several small paint boxes for component painting. The large paint box is equipped with a truck lift and pneumatically raised crew lifts on each side. Besides our own production we do different kinds of repair paintwork on customers’ cars.